Pleasant Street Diner was opened earlier this year in Woodside, by brothers Tommy and Stephen Fatouros, sons of Fotis Fatouros, who was once the co-owner and face of John’s Lunch. 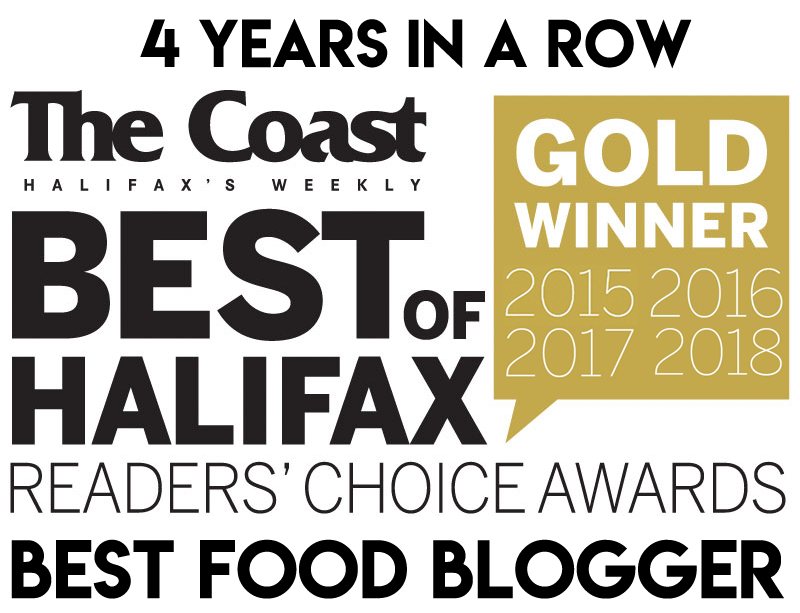 You probably know John’s Lunch either as “the best fish n’ chips in Canada“, or conversely, “not even the best fish n’ chips in Dartmouth” as Halifax ReTales would say. Diners must reconcile these accolades with packaged Kraft sauces and frozen shoe string fries of the lowest order. Part of the problem (or appeal) of John’s Lunch is that they haven’t changed a thing since the 70’s – for better or for worse. As for the fish, you can read my reviews of it here (2016) and here (2013). So is Pleasant St. Diner basically a John’s Lunch Version 2.0? The dining room is bigger and shinier, without that dated touch. The family are wonderfully friendly and we were treated to amazing service sitting at the bar as we were, watching the seamless choreography of the semi-open kitchen. They must have brought some of the cooks over to the new restaurant, because these guys were seriously on point. 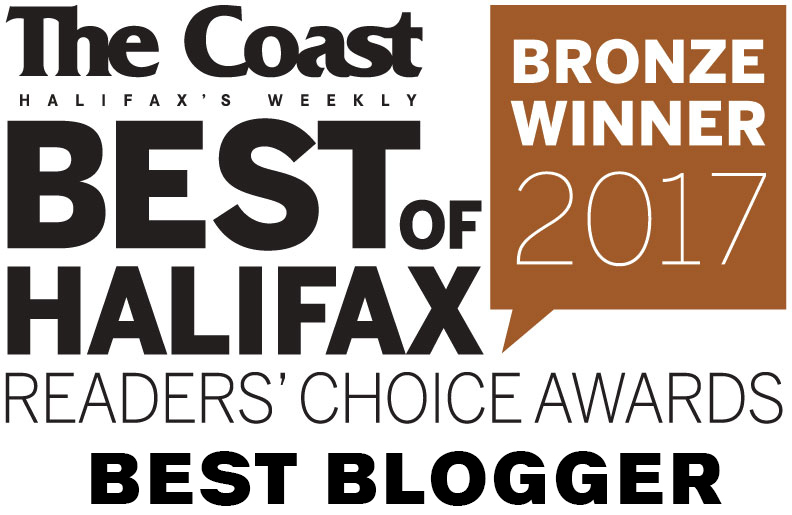 LuShark ordered a club house sandwich and said it was one of the best she’s had in Halifax. 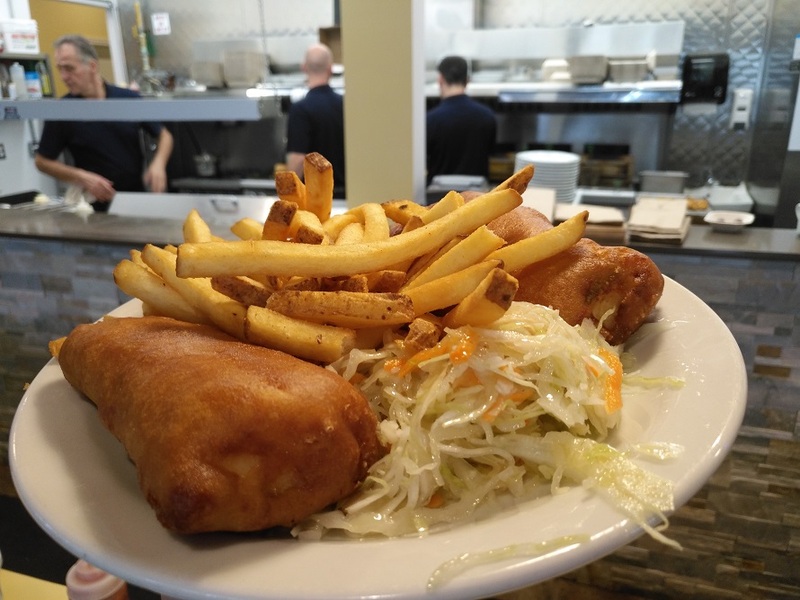 This is a bit of an aside for a fish n’ chips post, but we’ve secretly been searching out the best club house in the city and you can look forward to a future post on this topic! I’m excited to report that coleslaw is included in the price (unlike at John’s Lunch) and appears to be the same recipe – light and fresh to counter the grease. I’m also happy to report that cups of tasty house-made tartar sauce were brought to our table. A huge improvement. The French fries were still a frozen brand, but they have at least been upgraded to the faux hand-cut variety. As for the fish, it was very comparable to John’s Lunch. 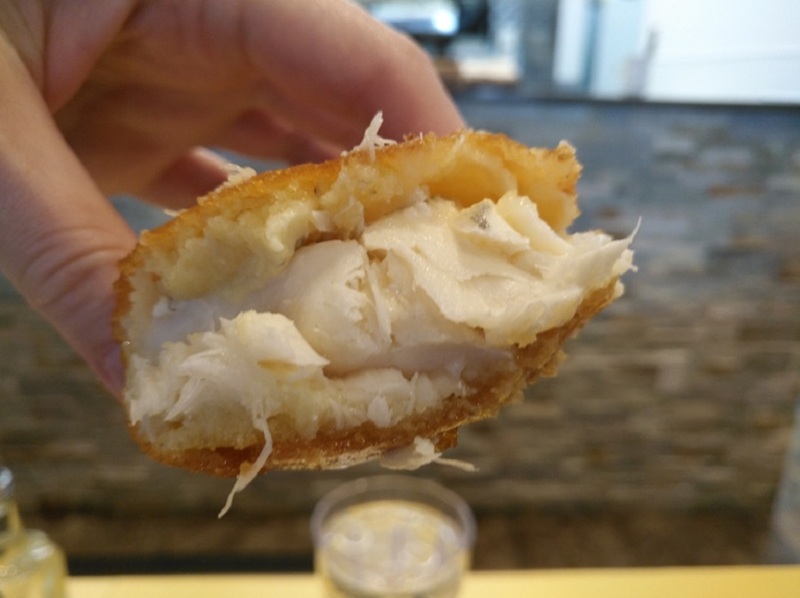 A hearty, chunky piece of (what I suspect is) frozen-at-sea haddock with the family recipe batter. I’ve heard someone compare the batter to “corn dog batter” or pancake batter, which is somewhat accurate. It is crispy and flavourful but has that mushy interface that some people don’t like. We enjoyed it but I wouldn’t say that it is any better than John’s Lunch. 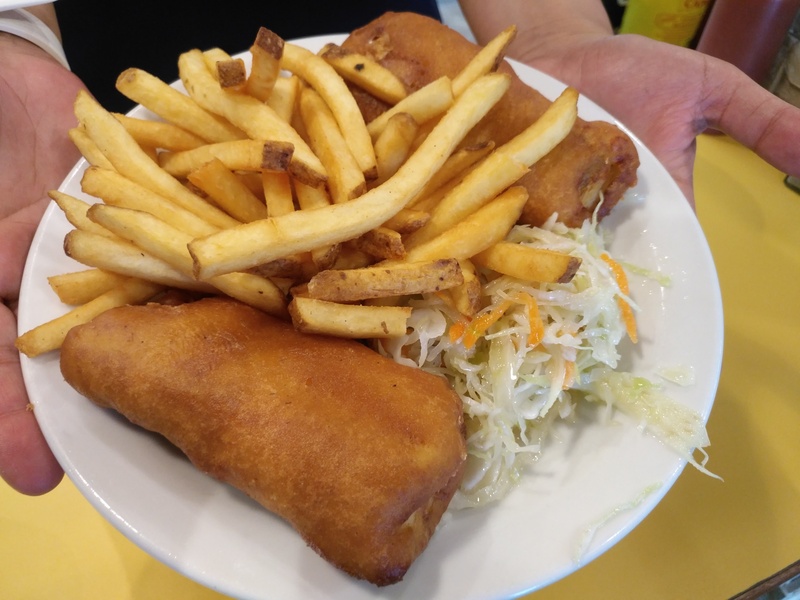 If you are already a fan of John’s Lunch, you’ll love Pleasant St. Diner! We were pleased with the improvements and overall experience and are likely to be loyal customers. I look forward to trying the haddock tips, as I think they (and not the fish ‘n chips) have always been the family specialty.